Earlier this year, someone reported that there had been illegal live animal slaughtering activities taking place within the biggest produce market at the east side of Kunming city-China. After a carefully planned investigation and intelligently executed crack-down , the local animal activists and volunteers were able to successfully shut down this illegal operation and rescue the remaining dogs on site, all 43 of them. 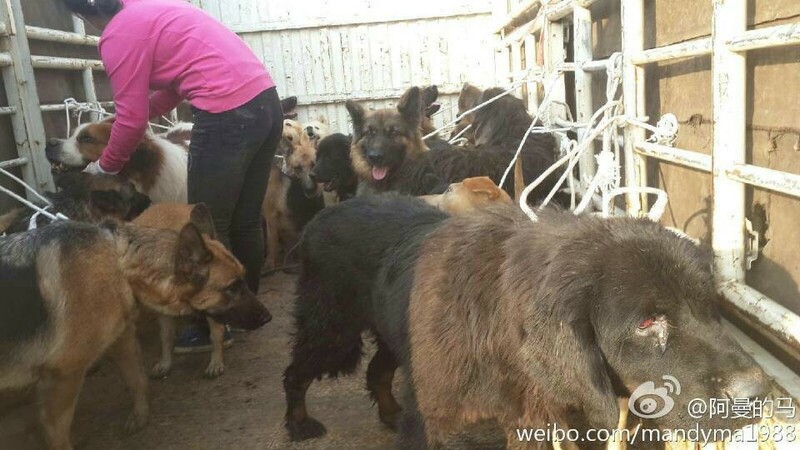 Currently, all of the dogs are under the gentle care of the Yixin Rescue Center. This is not the end of the story, however, as all of the surviving dogs are not yet completely out of danger. The remaining dogs in the slaughter house. 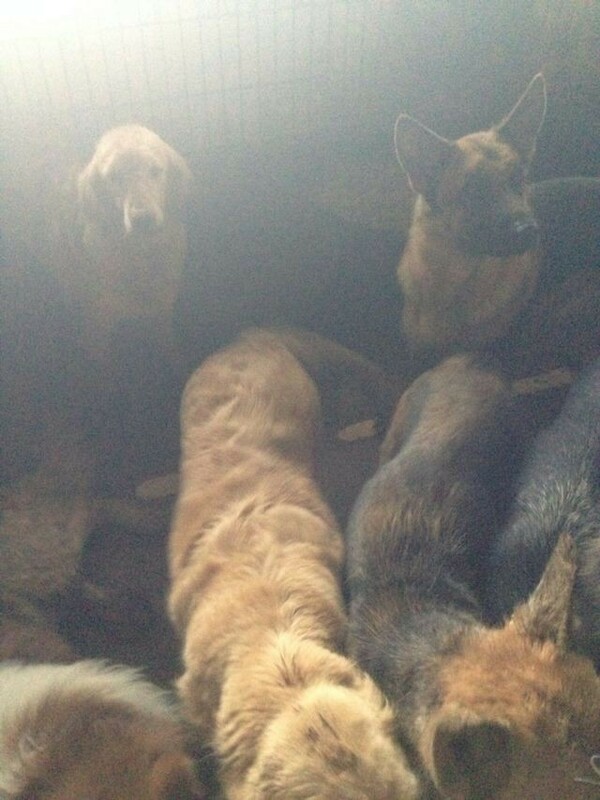 They have been rescued and taken in by the Yixin rescue center. Although the dogs are now under Yixin’s care, they could still be potentially taken away by the Livestock Inspection and Quarantine Department. If the dogs are taken, they will likely be put down, inhumanely. While Yixin has vowed to protect the dogs with everything they have, they are fighting an incredibly difficult battle with very little resources. 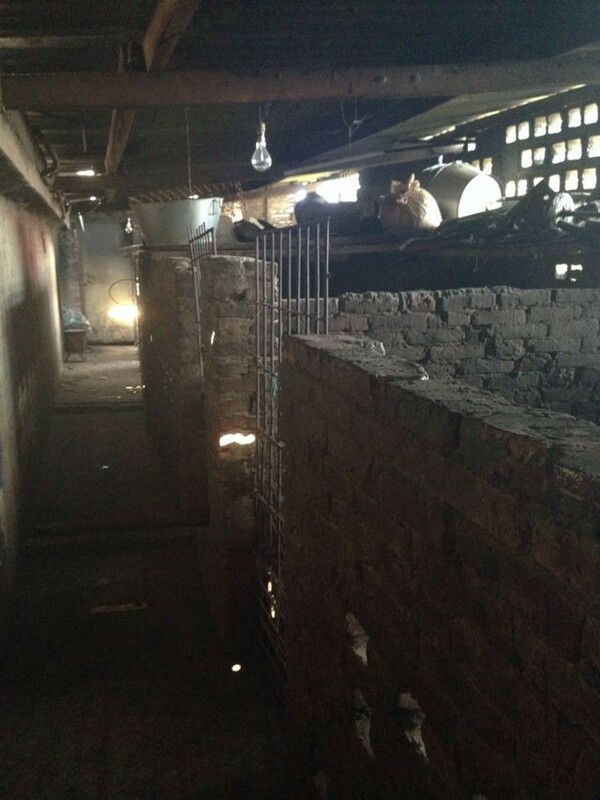 Prior to this rescue, the Yixin Rescue Center already had over 1000 animal residents. It depends solely on donations from loving supporters to provide the animals in their charge. Unfortunately, raising funds for rescues such as this one is not always an easy thing for rescue centers in China. 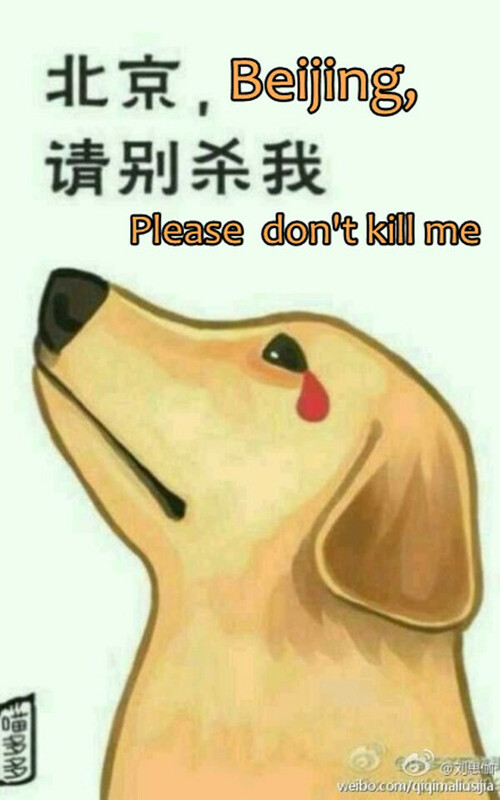 It is very likely that the financially strong and vicious dog meat traders will try to enact some sort of revenge against Yixin after the financial loss that this rescue has caused them. In order to ensure for the well being of their animal residents and the safety of these 43 dogs, Yixin has decided to stay low and not to draw public attention to this particular rescue. 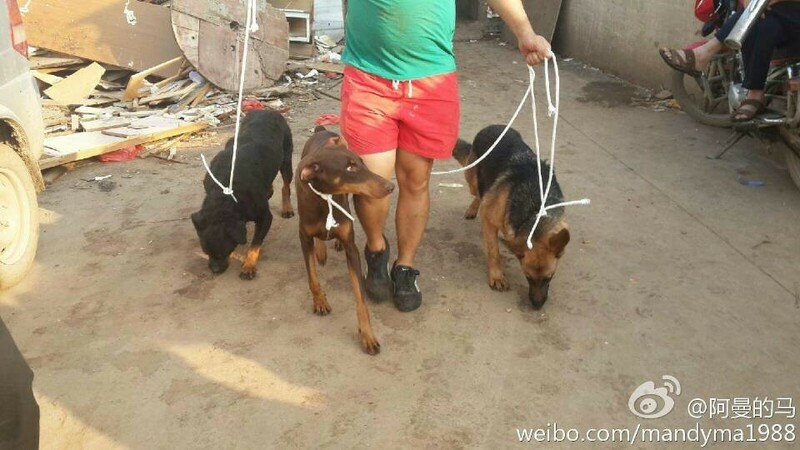 This rescue story has consequently remained untold in Chinese social media, which means that they have been unable to raise any emergency funds in China for these additional 43 large, canine residents in Yixin. With a large amount of in-house animals, Yixin’s financial woes have become increasingly dire for some time. The shelter has been struggling to provide for the basic needs of their animals. Despite the financial difficulties, Yixin has refused to turn their back on the 43 survivors from the slaughter house. Yixin is now in desperate need of your help to keep these innocent lives safe and cared for, so that they will have a chance to live a safe and happy life. You know what happened, and you CAN help! Your donation will help Yixin to provide food, shelter and basic medical care for these additional 43 canine residents. No help is too little to help animals in need. Your love and support will make all the difference! This video is dedicated to Kunming Yixin Home for Rescued and Stray Animals. The target audience is the part of the general public in China who are not supportive or even opposed to animal rights activism. 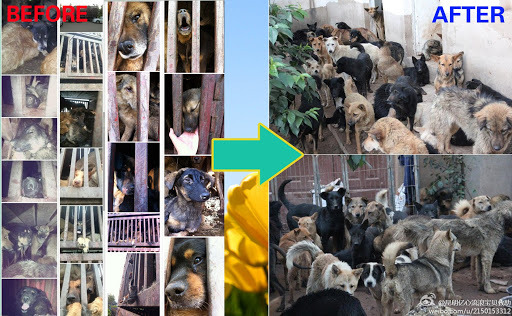 Prior to the slaughter house crackdown in October 2013, Yixin was also previously involved in several massive dog rescues, the most recent of which took place in April where 260 dogs were rescued from a dog smuggling truck travelling on a highway. You can also help Yixin to get a industrial grade dog food Machine to feed all of the animals in Yixin, all 1000+ of them! Yixin is a grassroot non-for-profit rescue shelter run by few devoted and dedicated individuals. With no grants or support from the government, Yixin depends solely on donations from loving and caring supporters to provide for the animals in their charge. With such a large amount of animals, however, Yixin’s already limited resources have been depleted much faster than any funds they could potentially raise themselves.. There has been a food shortage for the Yixin animals for at least the last month, and the animals are starving. Most of them are either dog meat trade survivors or neglected strays. Yixin is caught in a terrible catch 22. They have SO many animals to care for and not nearly enough resources to do it with. The ugly truth, however, is that there is no one else to take all of these animals in. They are part of such a tiny minority of people in China who are willing to do whatever they can for every animal they can. They sacrifice their own money; money that would otherwise go to provide for their own meager lives. These are not rich people, and they are willing to live even tougher lives in order to provide any benefit they can to animals in need. What they lack in money, they try to make up for with time and work for the animals. Unfortunately, that leaves them little time or resources to raise the kinds of funds that this ever growing population of rescued animals needs. The people at Yixin have been fighting with everything they have for these beautiful souls so that they can have a chance to live a safe and happy life. With each day, however, they worry that all that they have built for the animals could come crashing down due to a lack of funds. And in the end, it would be the animals that depend on them who would have to pay. They truly need our help. Currently, all of the dogs in the center consume about 8 tons or 17,637 lbs of dog food PER MONTH. That’s an average of $10,500USD or £6,500 GBP per month just in food costs. With an industrial grade dog food making machine, Yixin will be able to make the same amount of food but save 50% of what the center currently spends for food. Yixin will save over $65,500USD or 40,600GBP per year on food supplies! On top of the huge financial saving, the center will also be able to make healthier food with better ingredients for their animal residents. The machine itself costs $6,885USD or £4,270GBP. So far, Yixin has raised a little over $2,500USD (£1,500GBP) within China. They still have some way to go to have enough funds for the machine. Please don’t let Yixin do this alone. Please help us to feed the animals in Yixin! Every dollar raised through your donations will be fully and publicly accounted for on the TACN Website and TACN Facebook page so that you can see how your gifts are helping to make China a kinder, more humane place for all animals.